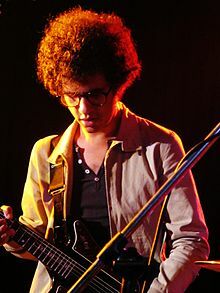 ^ "Omar Rodriguez-Lopez Releasing Album Recorded With Original Mars Volta Lineup, John Frusciante". Retrieved July 17, 2016. ^ Ben Beaumont-Thomas (April 9, 2014). "RHCP bassist Flea forms Antemasque supergroup with the Mars Volta". The Guardian. Retrieved April 9, 2014. ^ Flea333 (April 10, 2014). "To clarify: I am not a member of antemasque". Twitter. Retrieved April 10, 2014.